Shang Palace, Shangri-La Hotel Kuala Lumpur welcomes the Year of Rooster with a magnificent array of set menus, ala-carte dishes and take home goodies from 2nd January 2017 till 11th February 2017. Shang Palace is a famous pork-free Chinese restaurant, so it is better to make reservation early. If you think that Chinese food can’t be pork free and tastes amazing at the same time, that’s where you’re wrong! 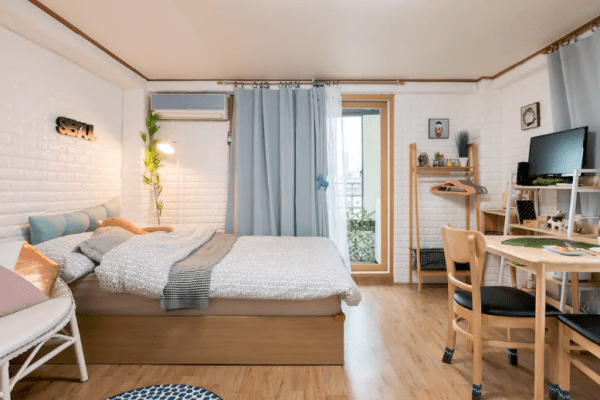 Let’s take a look at some of the amazing spreads that we had recently . 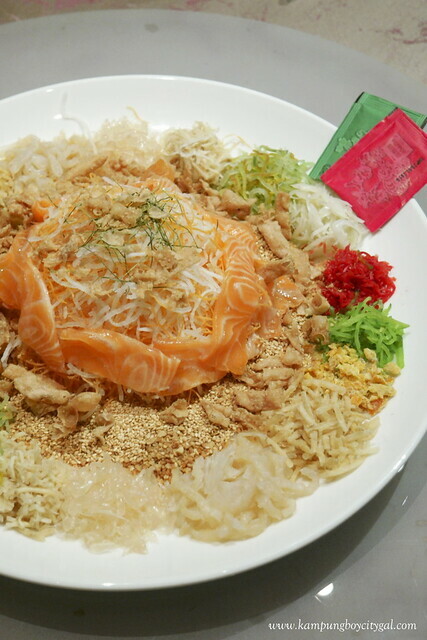 Yee Sang is one of the dishes we anticipate and look forward to during the Chinese New Year. 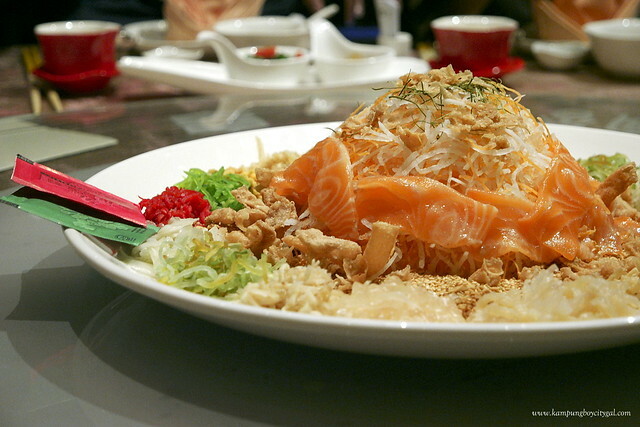 The salmon fish yee sang came in a generous portion of fresh salmon slices and the overall combination was really delicious. 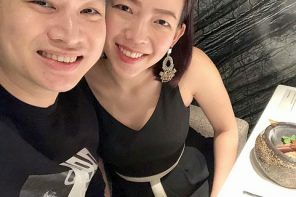 Shang Palace offers 6 types of Yee Sang this year, namely Salmon Yee Sang, Crispy Skin & Jelly Fish Flower Yee Sang, Crispy Soft Shell Cab Yee Sang, Sliced Abalone Yee Sang, Tempura Lobster Meat Yee Sang Korean Snow Pear Yee Sang. 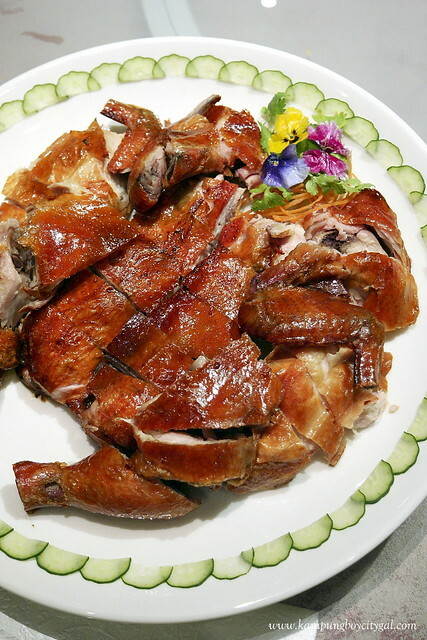 With juicy meat and crackly skin, the pipa chicken was an enjoyable dish. 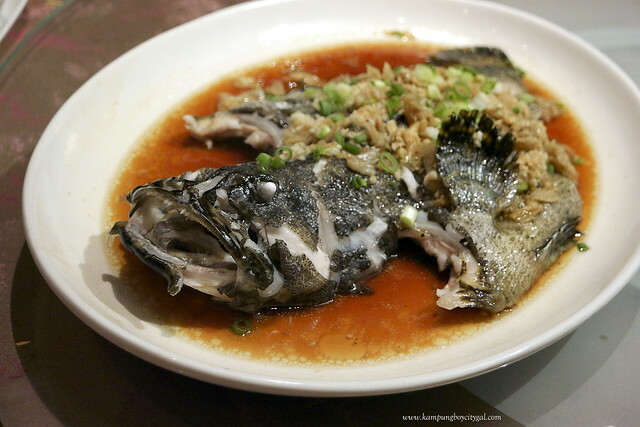 The best way to prepare fresh and succulent flavoured star garoupa is definitely steaming Chinese style. It was so good, especially the gravy! The XL sized fried oysters were really flavourful. 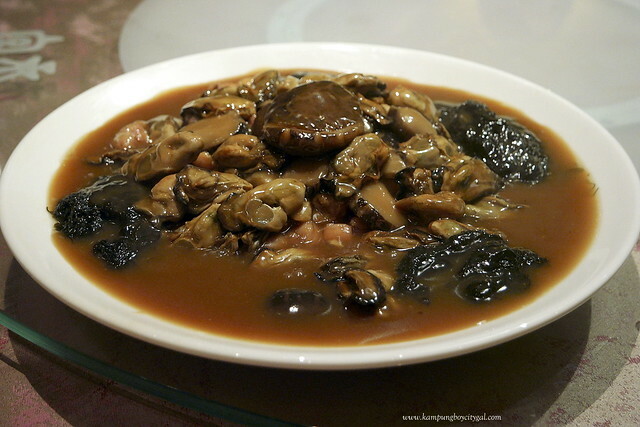 Together with the sea moss and mushroom, it created a really delicious broth. 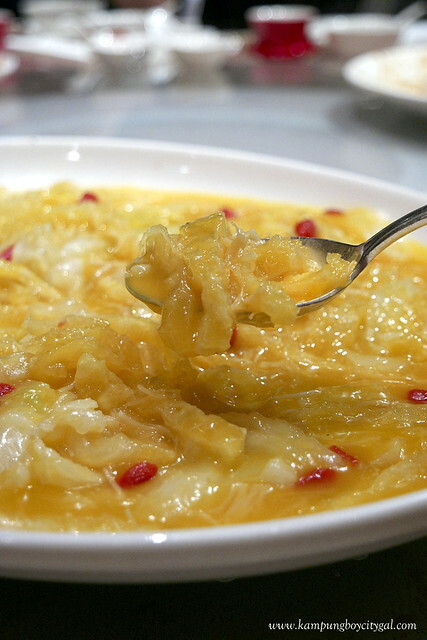 The Braised White Cabbage with Fish Maw in Golden Broth is one of my favourite dishes. The cabbages were braised till soft and soaked up all the essence from the golden broth made using pumpkin. The fish maws had really great textures too! Again, a simple looking dish with great flavours. 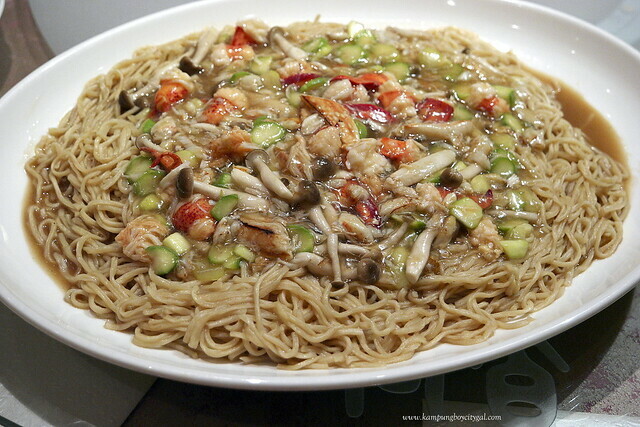 The noodles have absorbed all the sweet, briny flavour from the sea, resulting in great flavours. Our sweet ending came in the form of a platter. I love the how the desserts were really light and not burdensome at all. The ginger soup was really gingery which I really liked, good for digestion. 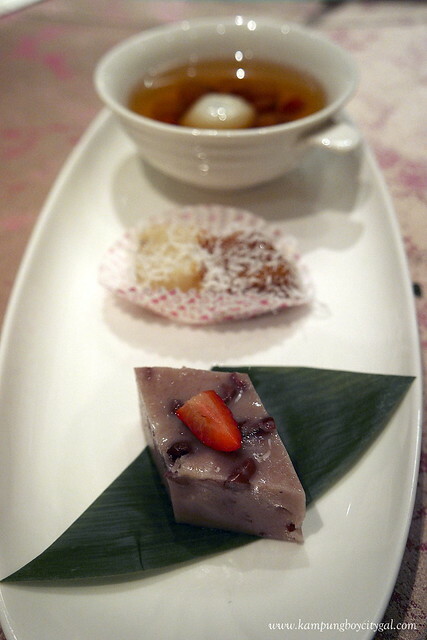 Even the read bean cake and steamed ninko was made with very little sugar, which we all really enjoyed. 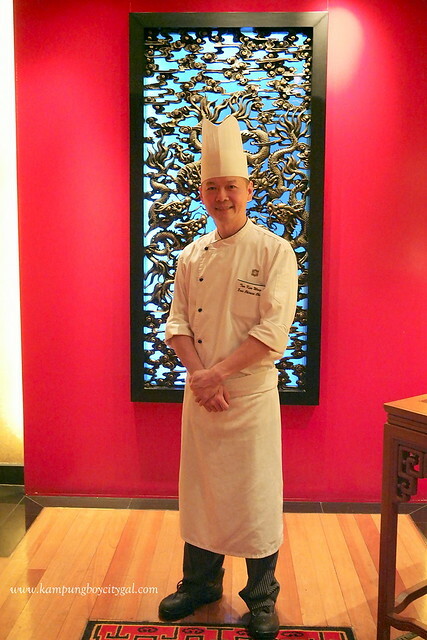 Shangri-La Hotel KL Executive Chef Tan Kim Weng and his team crafted 5 sets of CNY course menu this time, covering 8 or 9 course for minimum 4 pax or for a table of 10 pax. For minimum 4 pax CNY set, there are Great Prosperity Set Menu at RM208nett per person and Rich Fortune Set Menu at RM372nett per person. 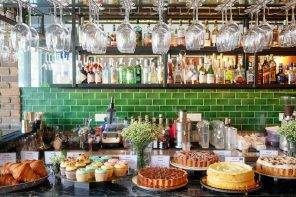 While for 10 pax menu, opt for Happy Reunion Set Menu at RM2076nett per table of 10 persons, Wealth Treasures Set Menu at RM3484nett, or Immense Wealth Set Menu at RM5467nett. 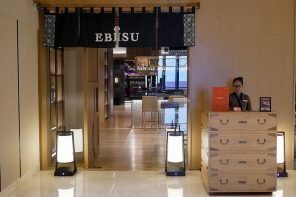 Besides dine in, Shangri-La Hotel also have take home goodies and gifts such as Auspicious Ninko and Prosperity Hamper.